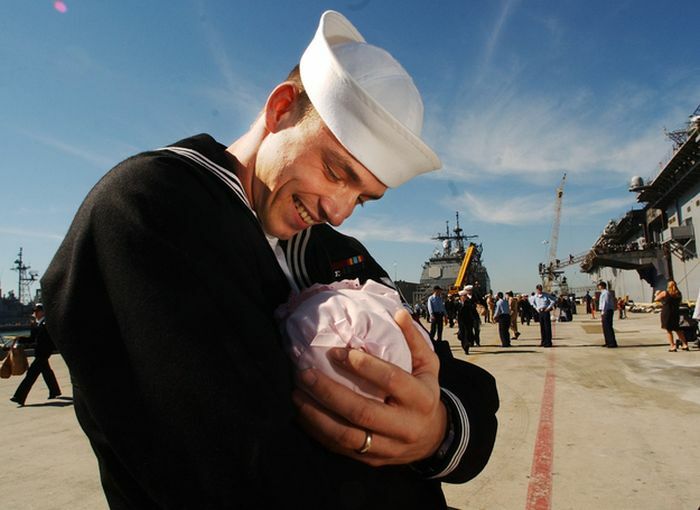 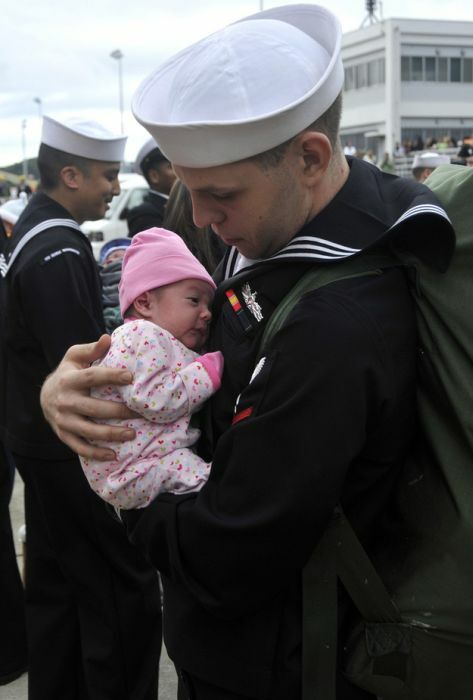 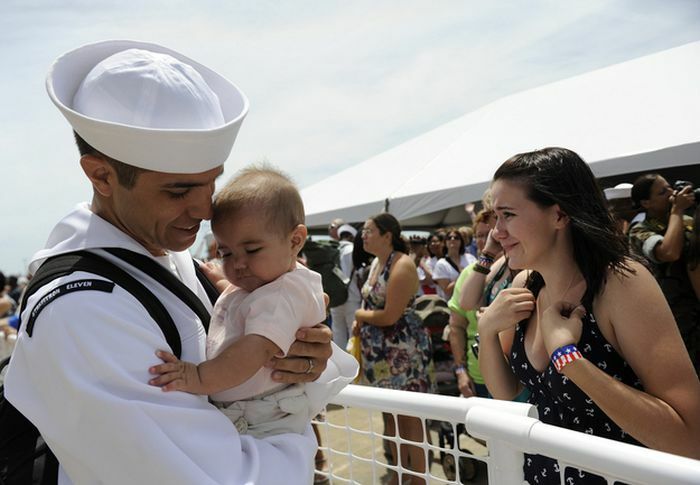 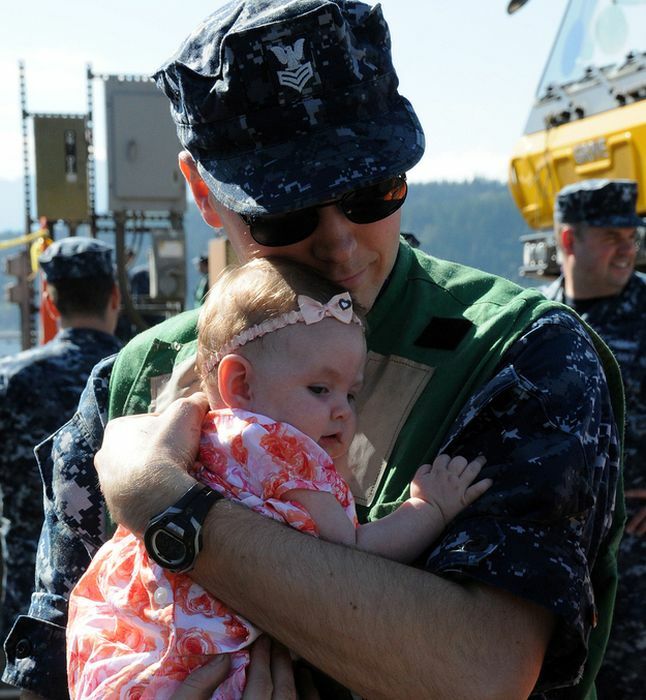 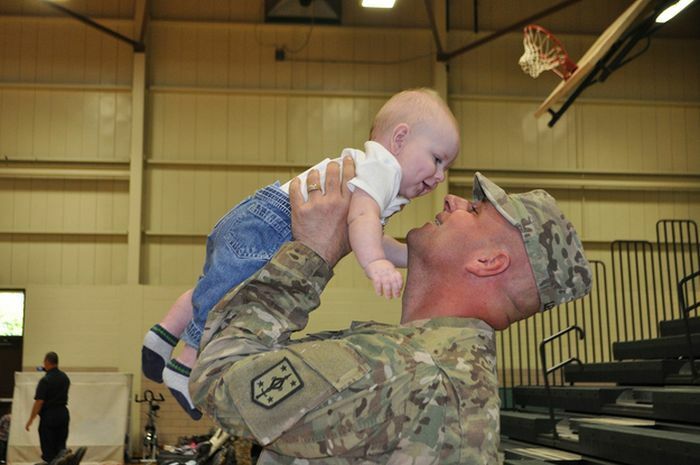 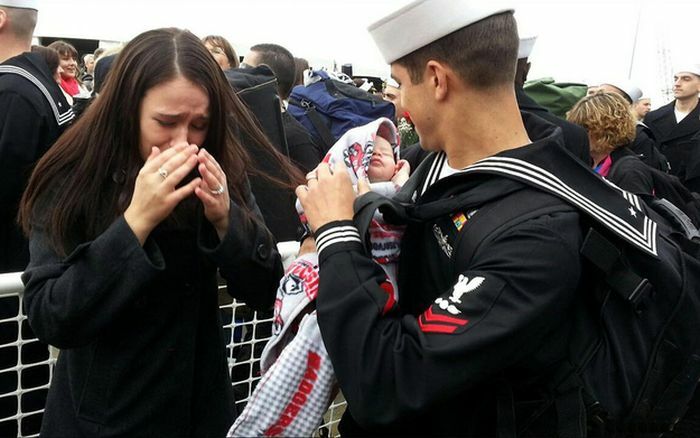 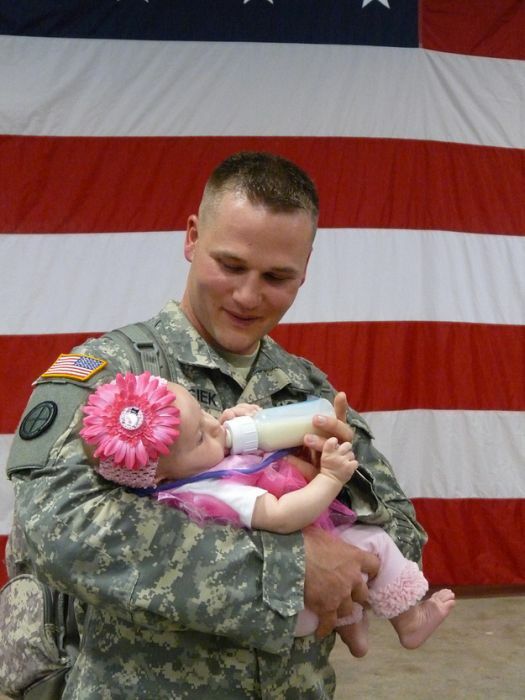 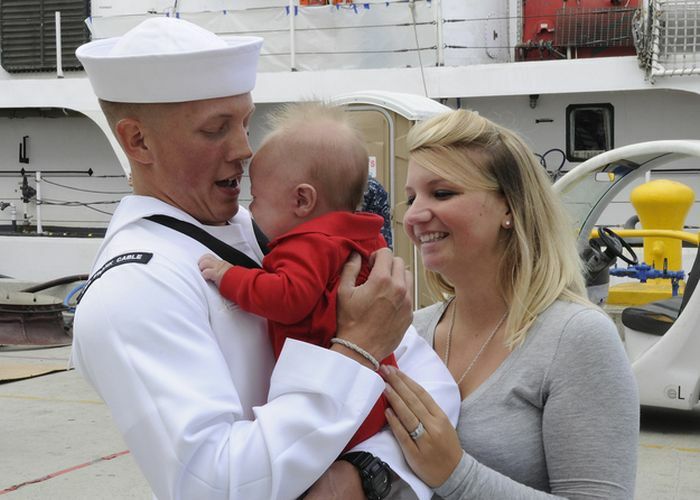 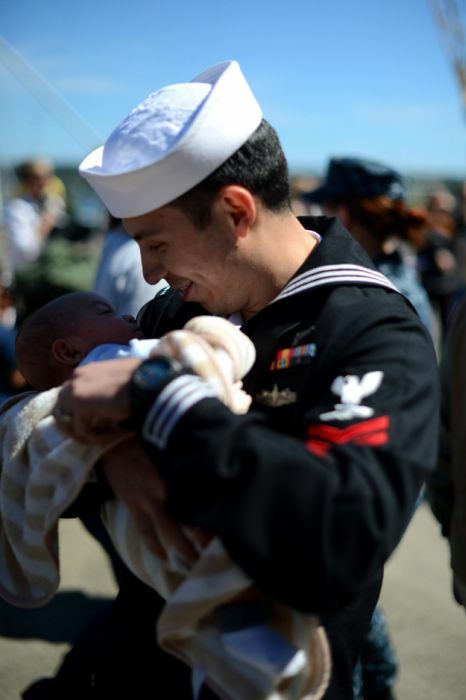 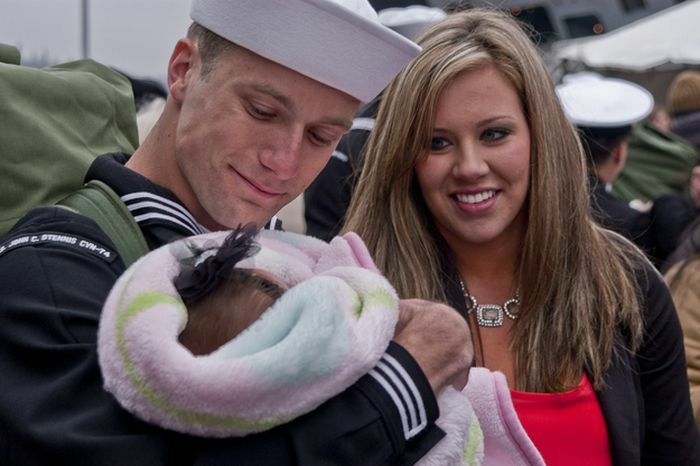 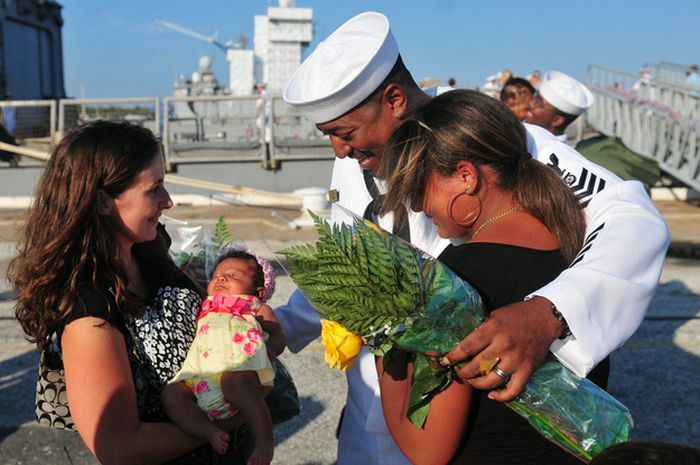 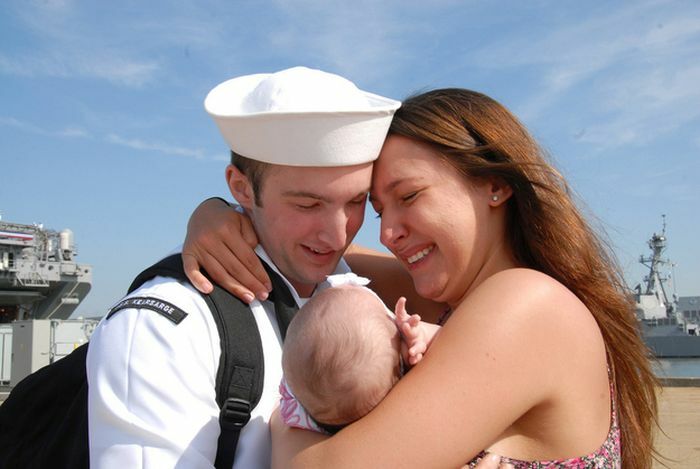 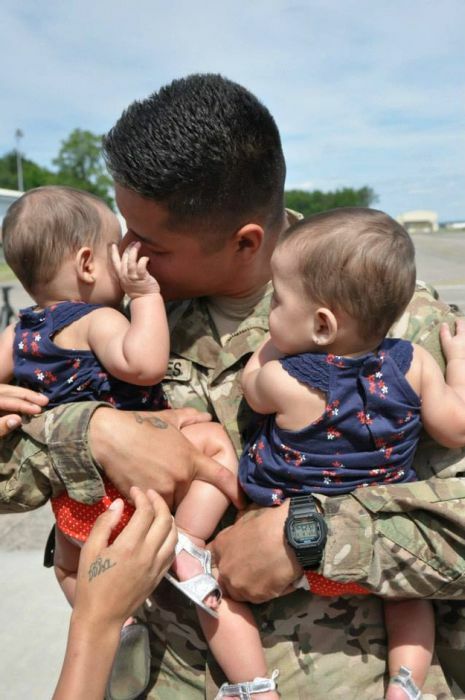 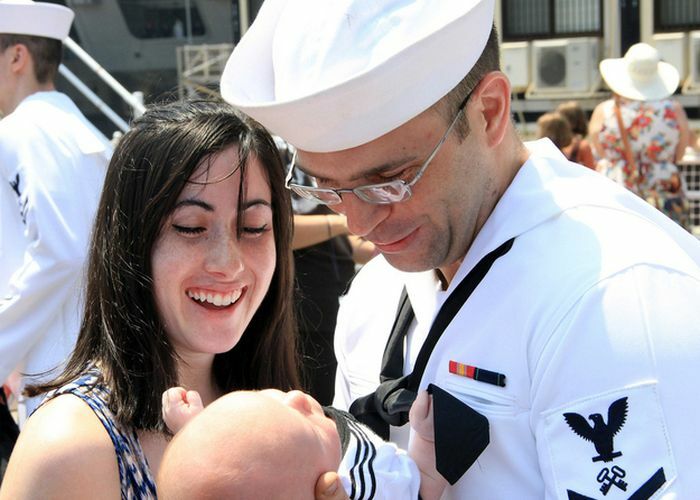 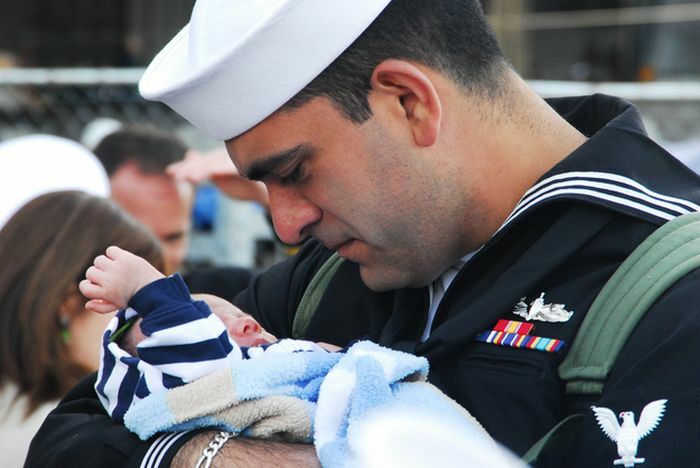 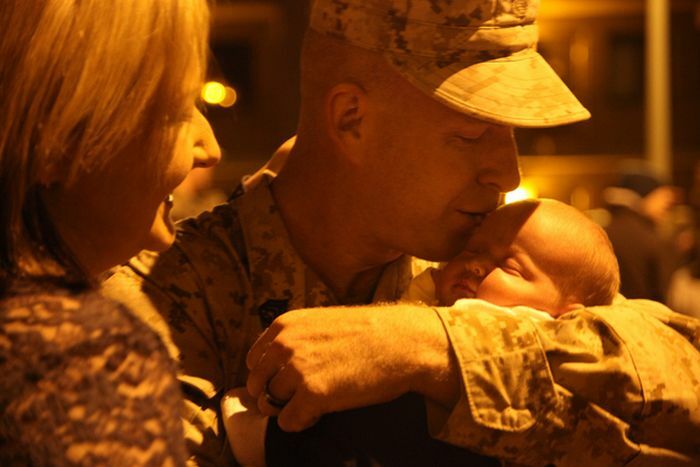 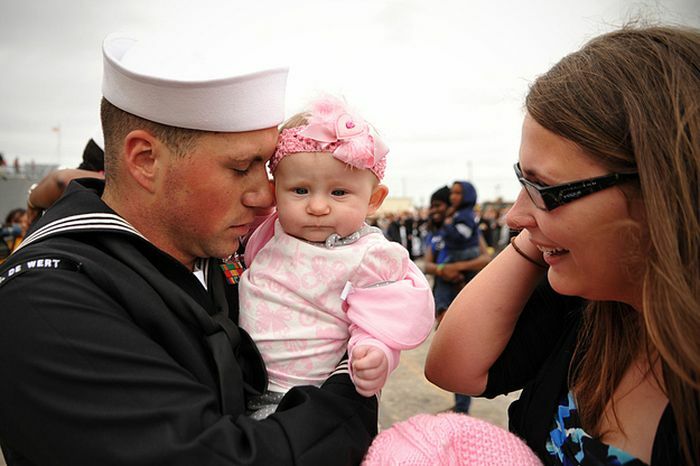 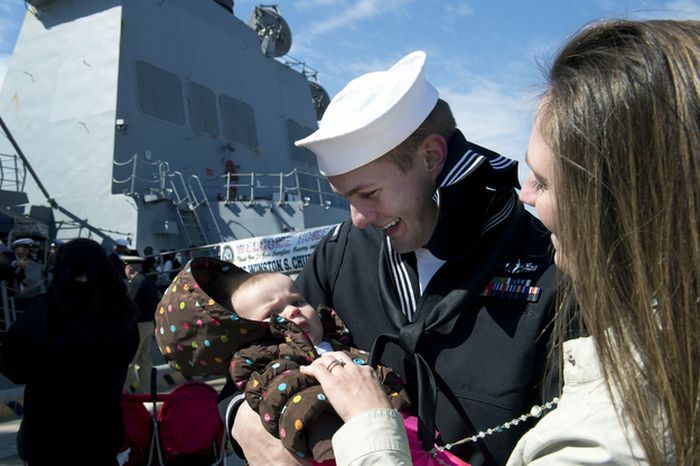 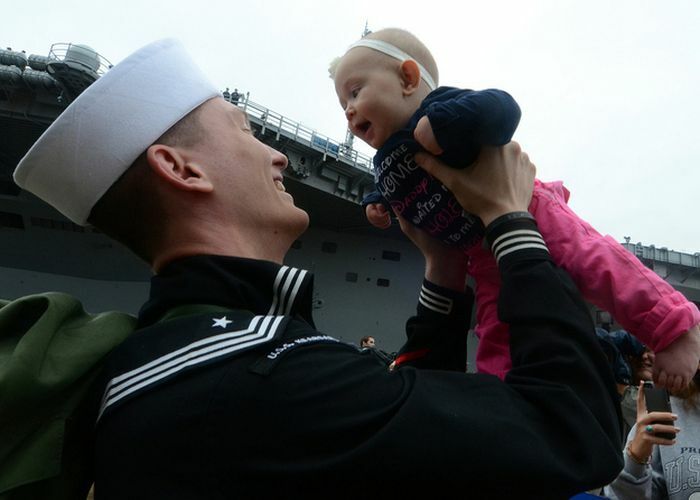 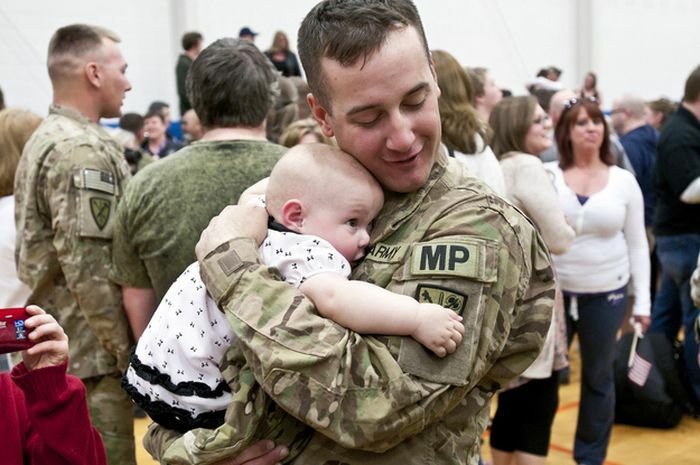 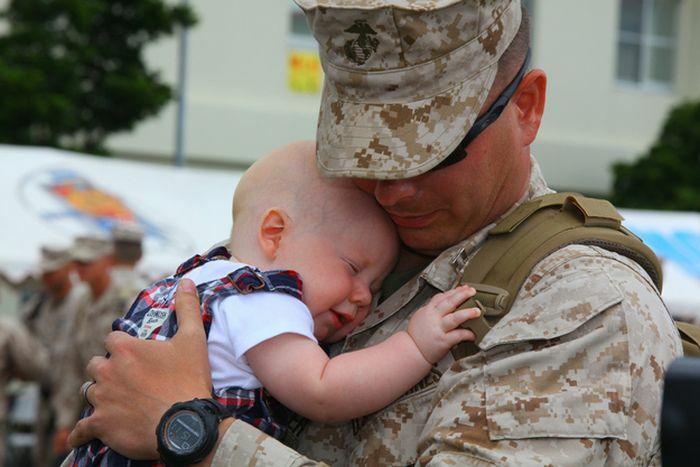 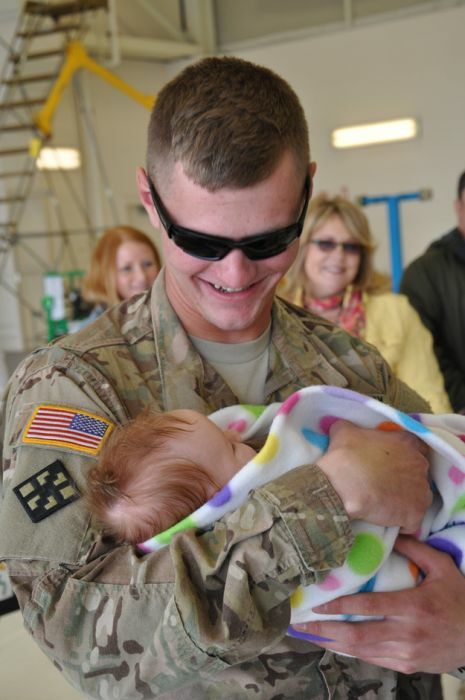 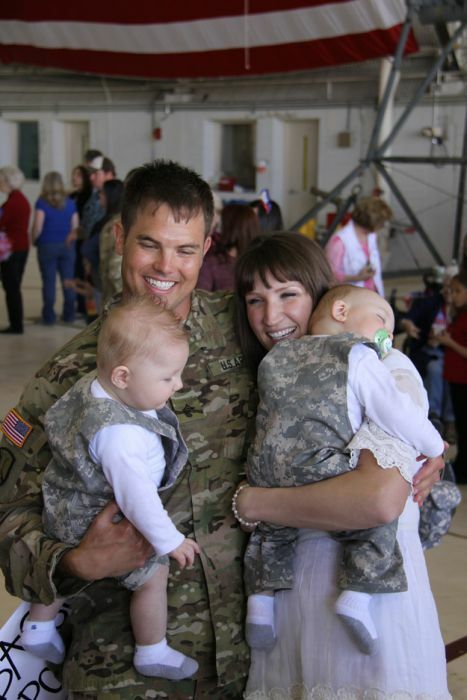 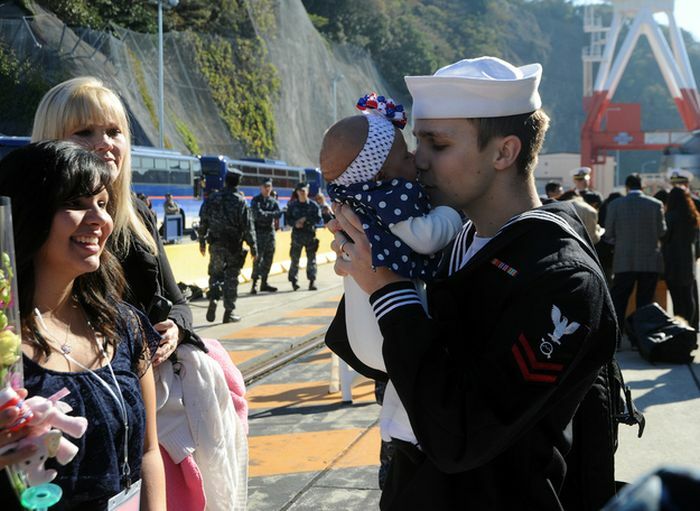 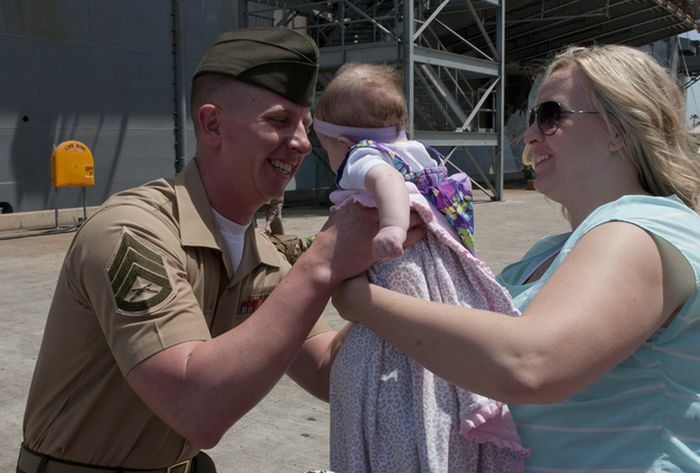 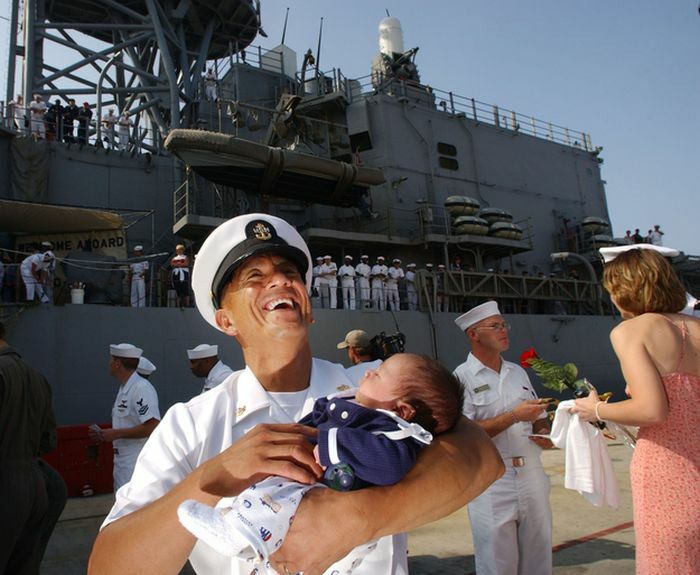 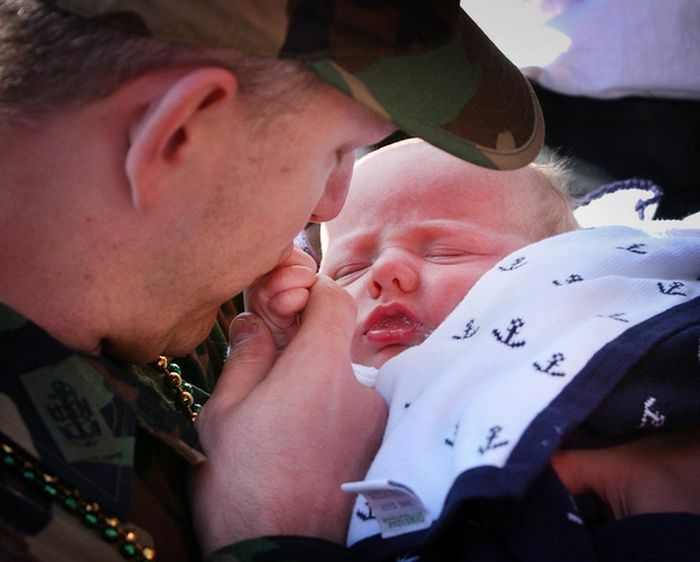 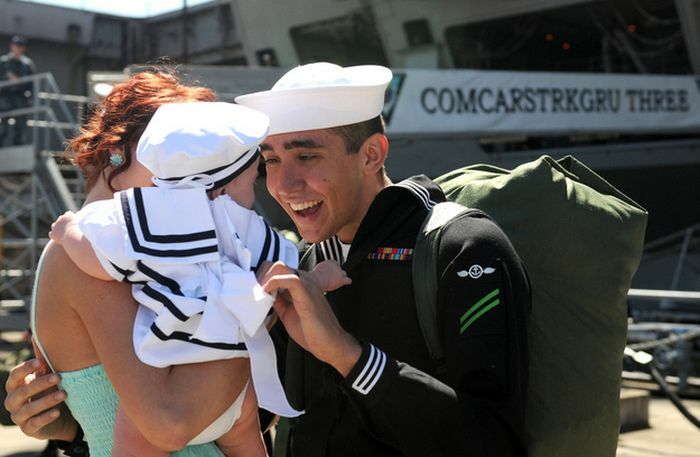 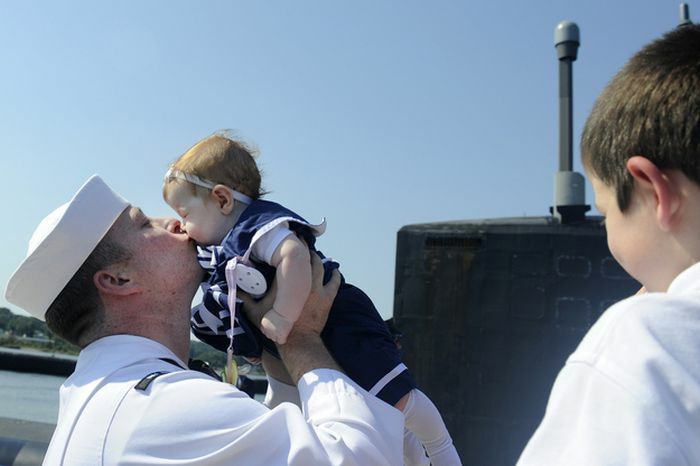 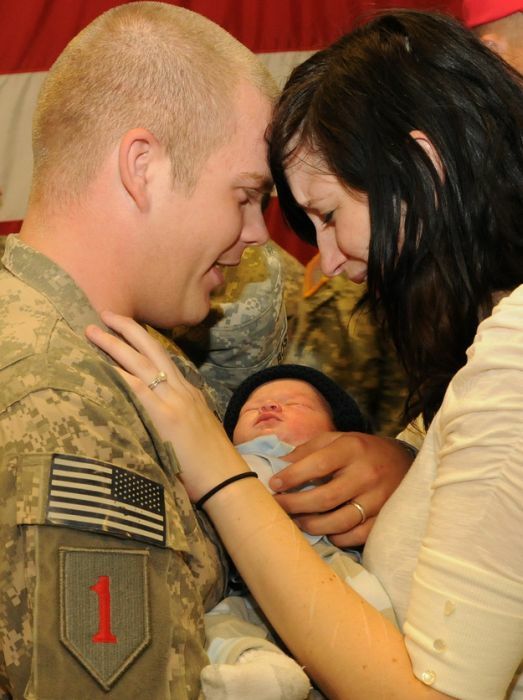 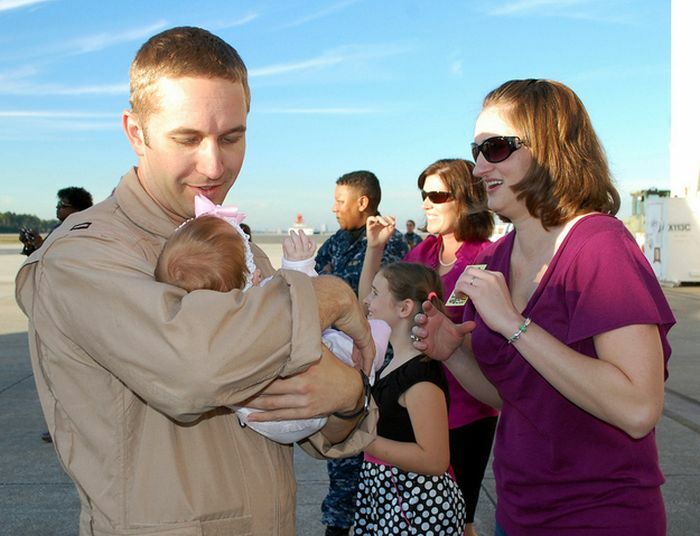 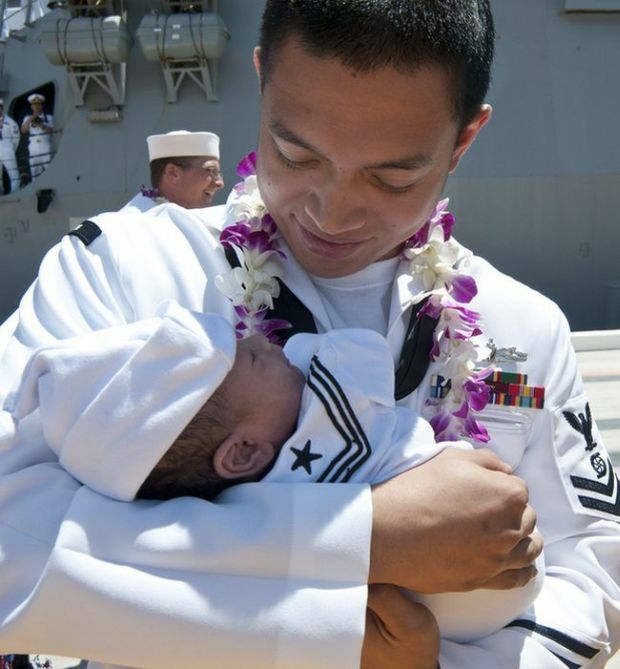 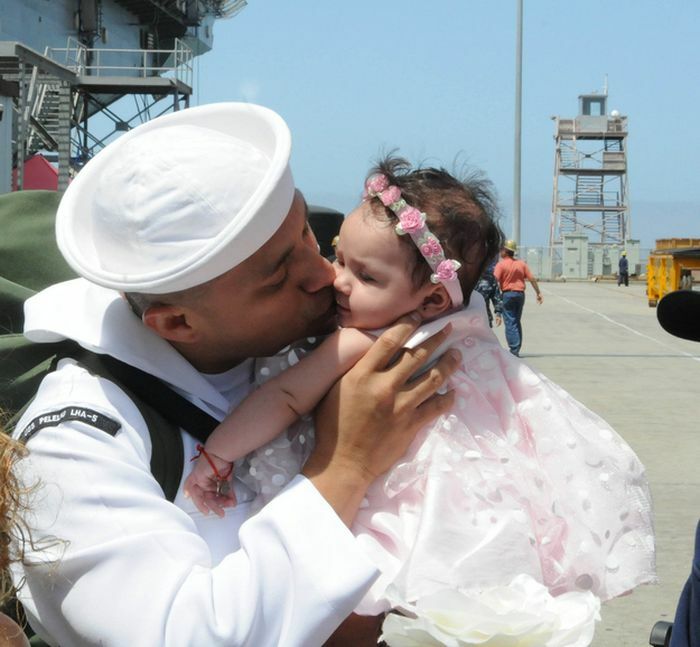 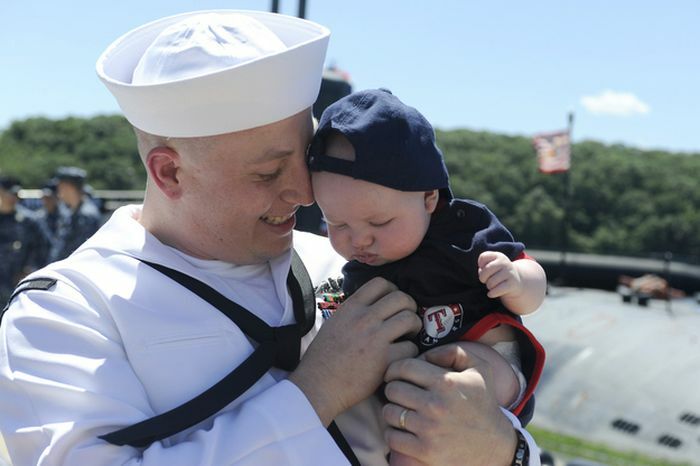 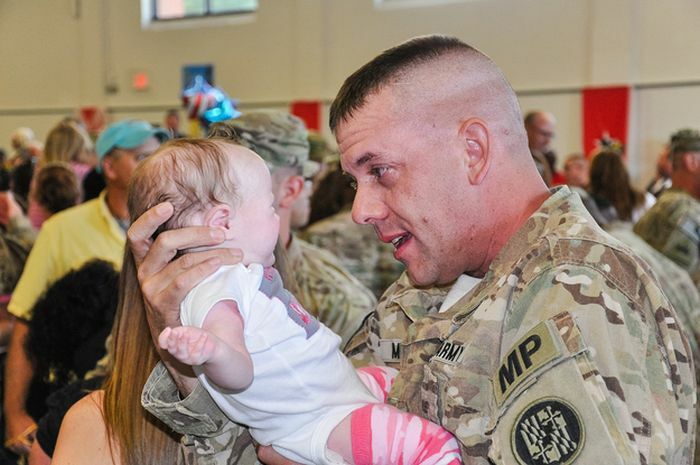 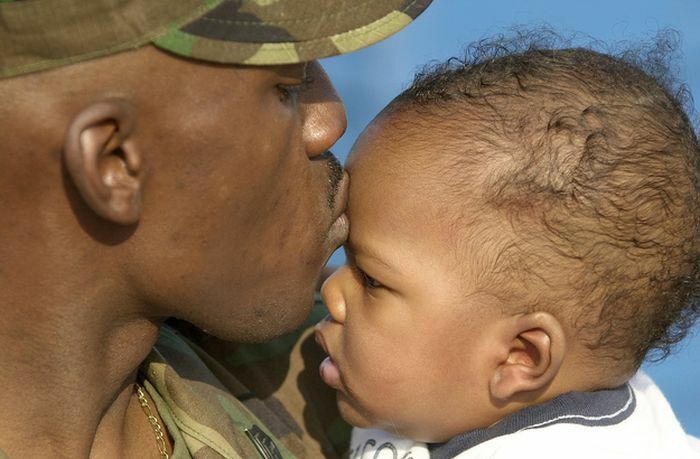 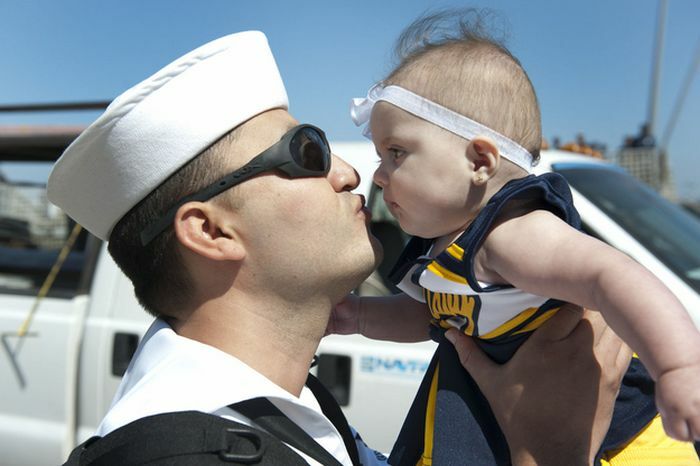 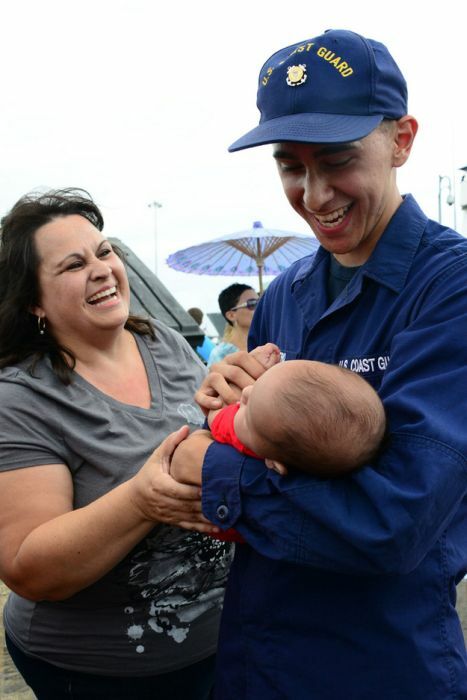 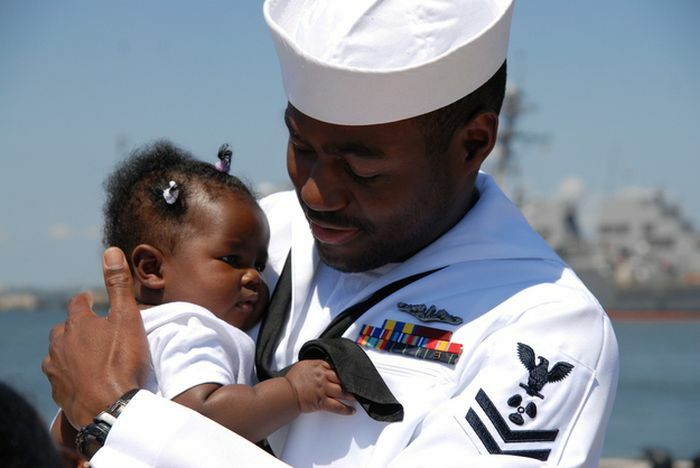 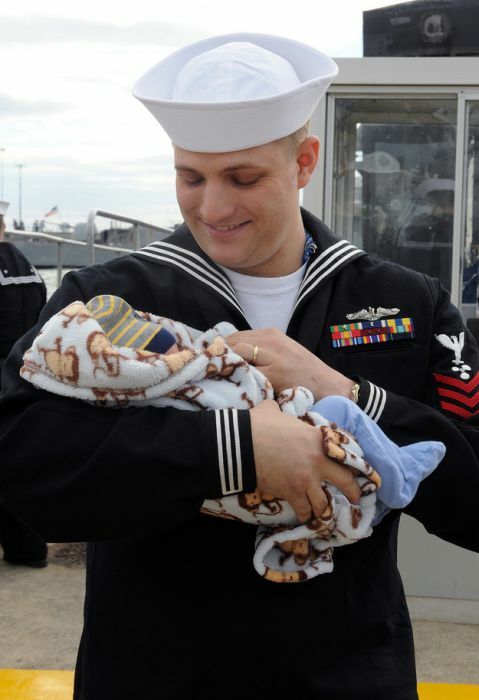 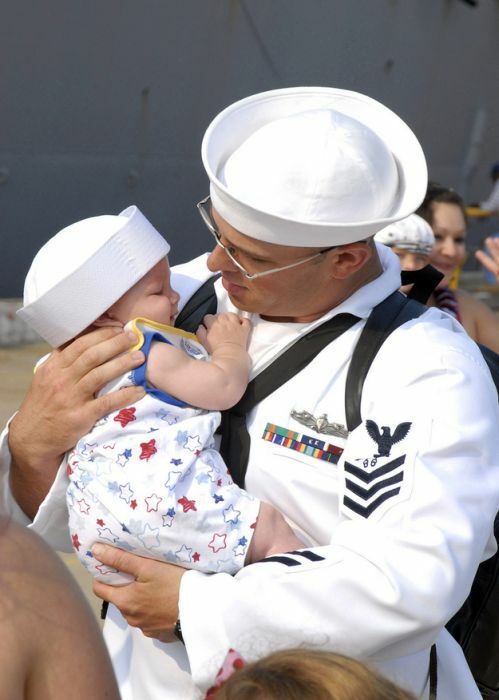 These men worked hard to defend their loved ones which makes for an extra special moment when they return home and meet new loved ones for the very first time. 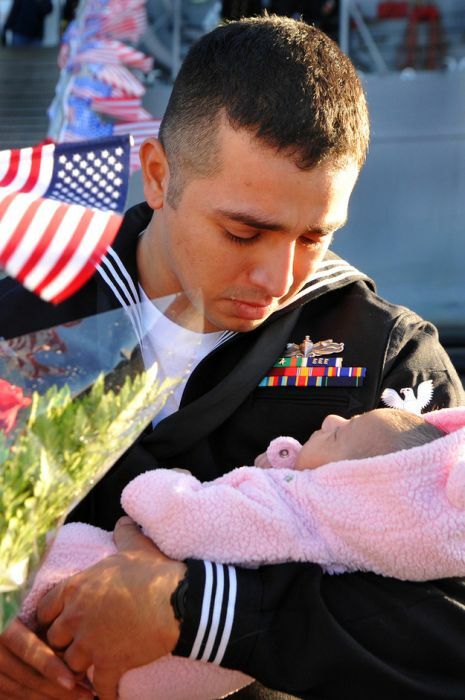 moments to remember, to cling to, to share, to remind our sensless poloticians as they send my brothers and sisters in harms way. 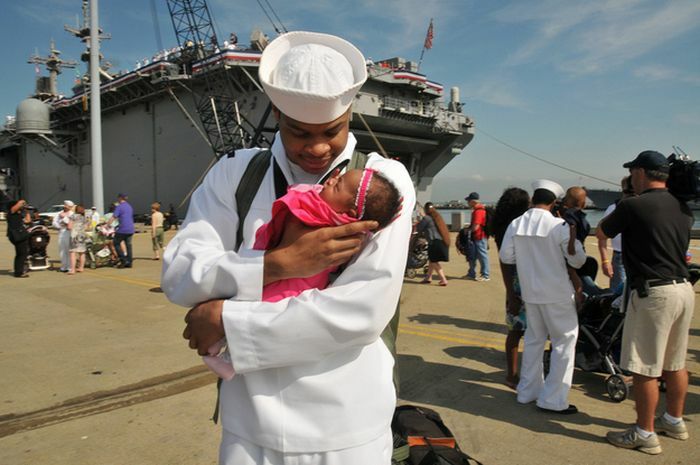 no man looks bad holding his children.